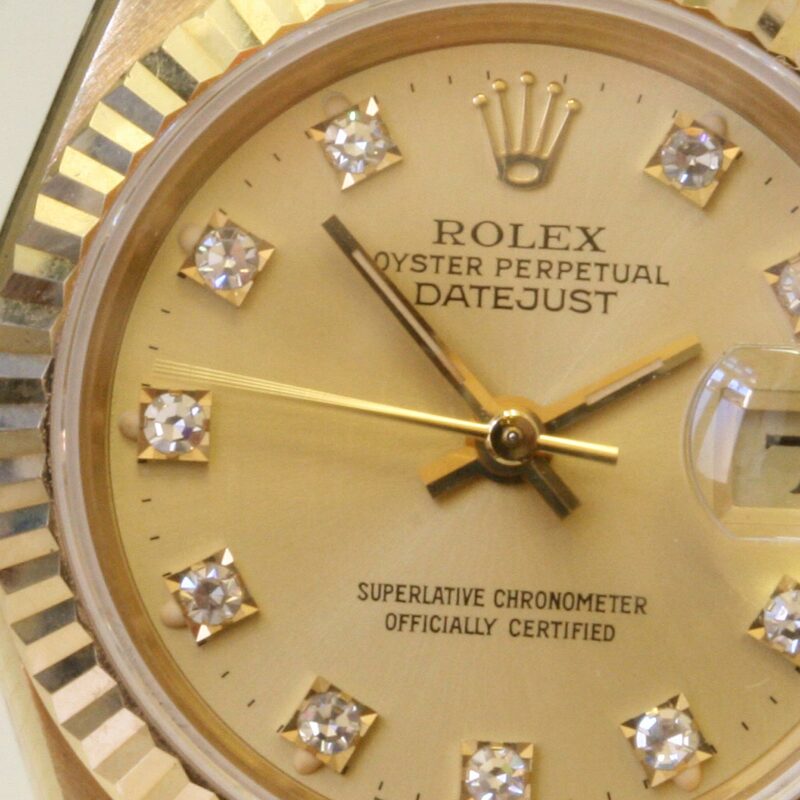 Product code: 748 Categories: Sold Items, Sold Rolex Watches. Here is a Rolex that is quite simply superb. A solid 18ct gold lady’s Rolex Oyster Perpetual Datejust diamond dial on the 18ct yellow gold President bracelet. Set with 10 brilliant cut diamonds on the dial giving it a fantastic look and style, the case measures 26mm and will look elegant on any womans wrist. The case and band are in excellent condition and can easily be worn during the day or night. Fitted with a fully jewelled automatic movement, this watch will be worn with pride every time that it is on the wrist.